It doesn't take a lot to enjoy spending time in the garden, but following these decorating tips can make your outdoor seating area feel like part of the home. 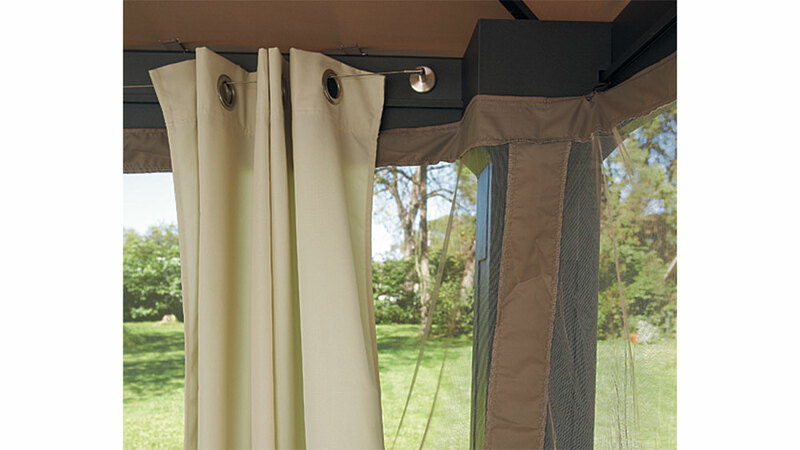 Sure, you could enjoy being outdoors with just the bare necessities. 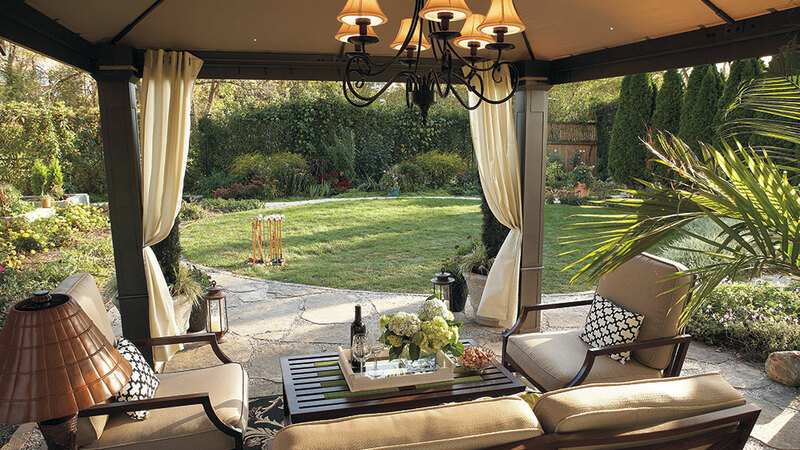 A shady place to sit and some comfortable furniture go a long way to making your garden a great summer hangout. But those small touches, like lights, candles and some decorative fabric, can bring all the comforts of indoors into the garden. Let’s take a look at some of our finishing touches, then you can put them to work in your own garden seating area. Outdoor lighting doesn’t mean a flashlight! 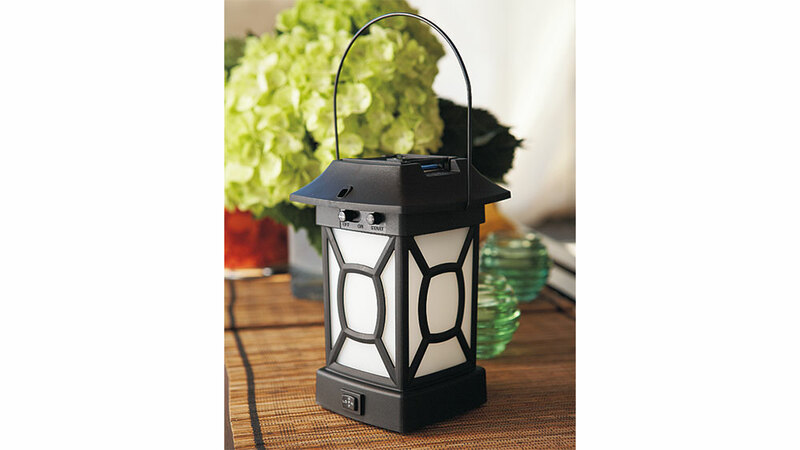 Over the last few years, lots of outdoor lighting options have become available from home improvement and big box stores, so you can find lamps that could even do double duty — outside in the summer, inside in the winter. This chandelier and table lamp have glass globes inside the shades to keep the bulb and wiring dry and clean. (They’re still best used under a structure, like this gazebo.) 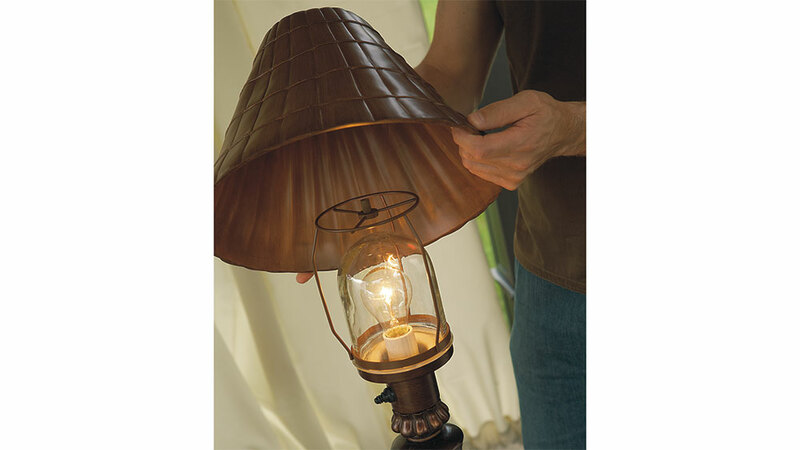 The table lamp has a heavy base to keep it from tipping over in the wind. A heavy hurricane lamp adds a little sparkle near the containers. 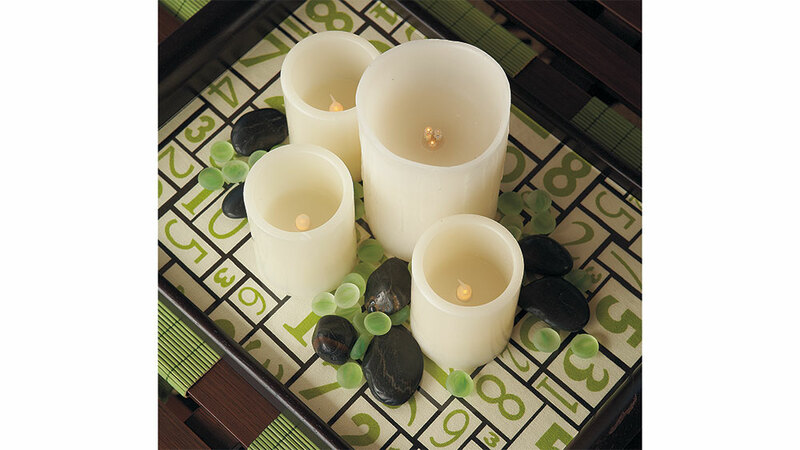 Green bamboo placemats were woven between the slats of the coffee table and taped to the underside, above. We cut coordinating fabric to fit inside the tray, then covered it with a sheet of glass for this sleek table treatment. 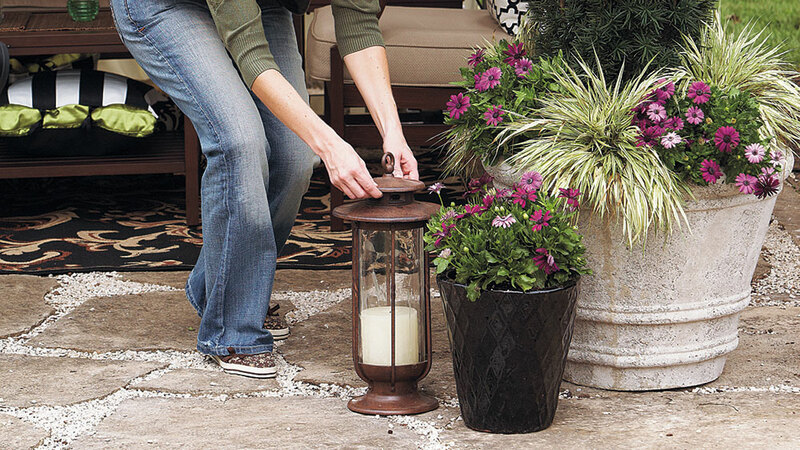 Battery-operated, flameless candles are a safe alternative for outdoors, and you won’t have to worry about cleaning up spilled wax. 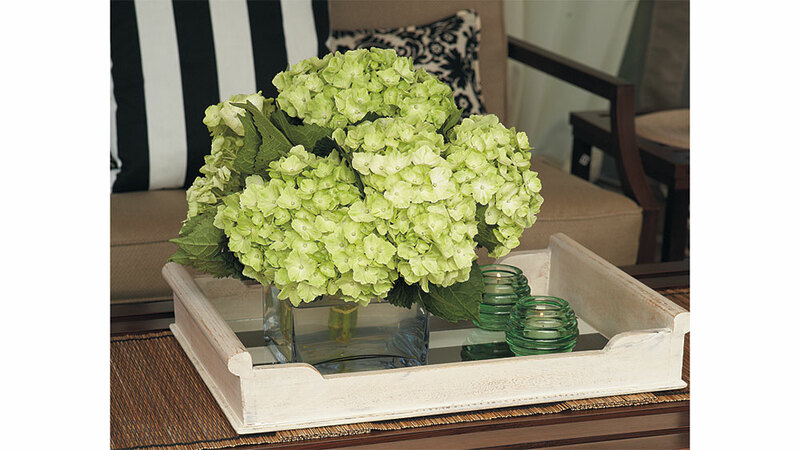 For a different look, a white tray creates a focal point when it’s stacked with a vase of fresh hydrangea blooms from the garden and some chunky green glass tea light holders. 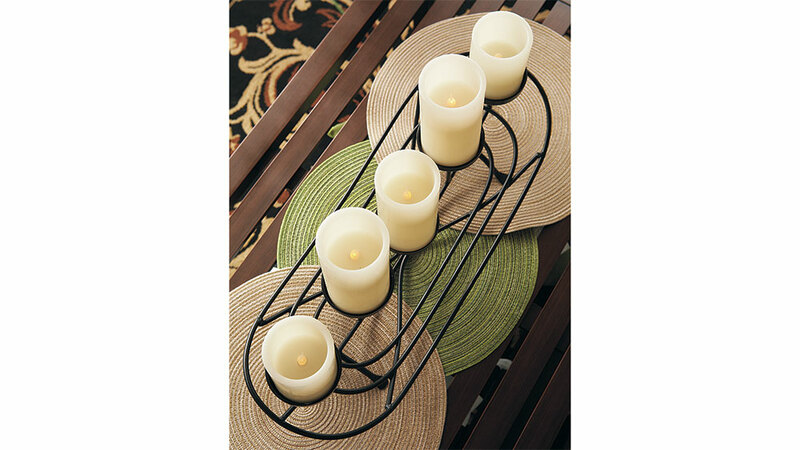 Or try layering placemats, like these round ones, to create a foundation for an elegant candle holder. 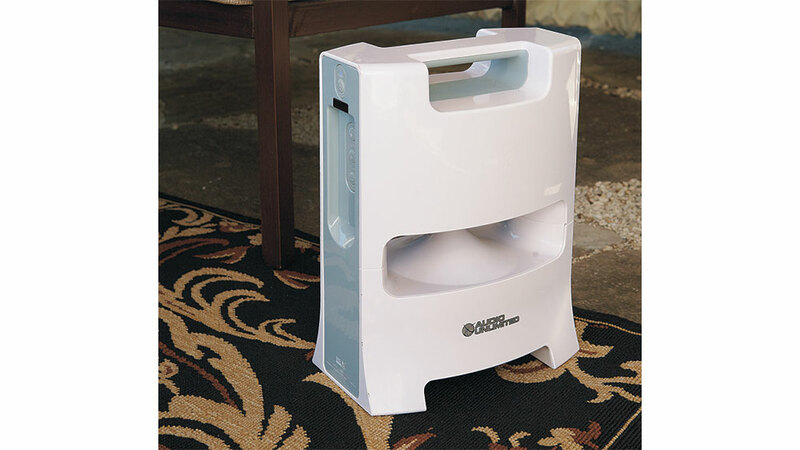 If your gazebo doesn’t have nettings, there are plenty of other repellents on the market, like this ThermaCELL® mosquito repelling lantern, which uses heat to dispense an insect repellent in a 15×15-ft. area.